It is a great news that the long-anticipated Xtuner CVD 16 client software First version has released. Xtuner CVD is truck OBD product. 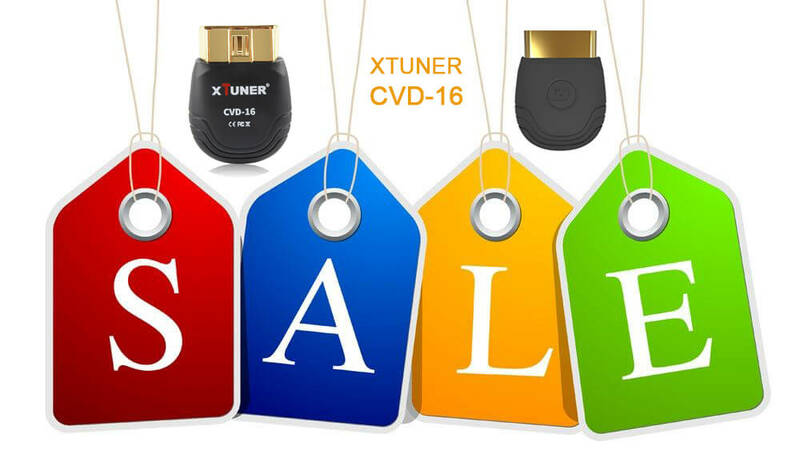 At first, it only has three types of products, but now it has released the third type — Xtuner CVD 16. With U-shape design to fit the hand posture and increase comfort, Xtuner CVD 16 support truck from 1996-newest and it operates in Android 4.0 and above. It’s Bluetooth is 4.0 classic. Professional Heavy-Duty, Light-Duty/Car systems diagnose. Professional waveform analysis of data stream. Professional instrumentation analysis of data stream. Support data stream reference mode. It supports lots of language, including English, German, French, Korean, Spanish, Italian, Portuguese, Polish, Russian etc. Xtuner CVD 16 has accurate OBD interface and contains 16 gilded pin, which enable the vpecker to get closer to the car and send signal for system efficiently to deal with and accept the data. Besides, Xtuner CVD 16 is made of ABS material that resists strong impact; on its surface, there is one key to force the power to protect the car battery making it fast and safe. It applies ergonomic principles to increase the comfort and anti-skid performance. Its protocol includes J1708, J1939, ISO0141, ISO14230, ISO15765,SAE-J1850 VPW, SAE-J1850 PWM. In addition, Its connector is OBD-16 and input voltage is DC 8-26V. Xtuner CVD 16 boasts taillight design and laser engraving process will enhance the light transmission. What deserves our attention is its elegant package design. By using renewable and durable material, corrugated paper, the package advocates environmental protection concept. The square design is simple but elegant with golden ratio, suitable to the product. Inside the box, you can easily see what you get and with Quick Start Guide, you can quickly know how to use it and meet your requirements. That’s all. Thanks for your attention. This entry was posted in Xtuner-cvd-9. Bookmark the permalink.